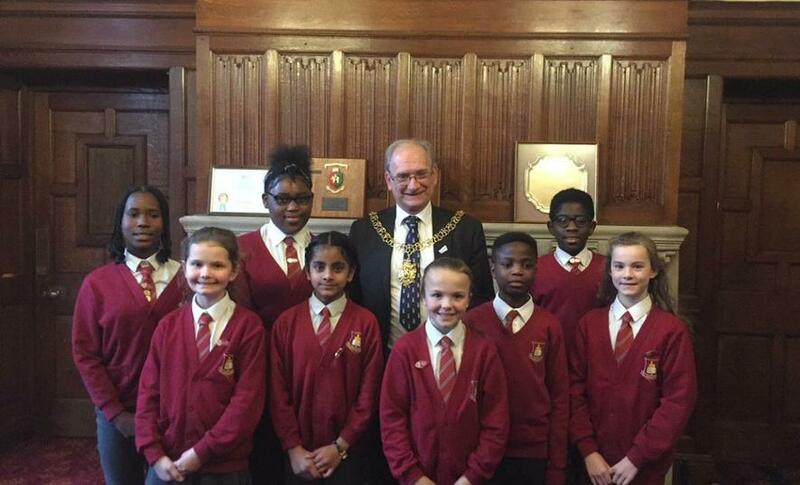 Last Friday (23rd November), the school council, along with Mrs Fowler and Miss Carey went to visit the Lord Mayor of Coventry, Councillor John Blundell, at the Council House. During our time there we took part in a question and answer session which we found to be very educational. Did you know that if a lady becomes a Lord Mayor, they are still called 'Lord Mayor' and not a 'Lady Mayoress!'. 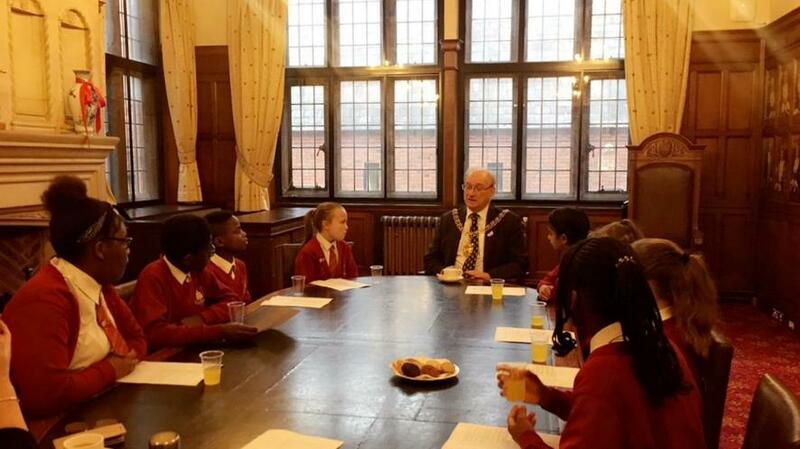 The Lord Mayor advised us, that to be a good school councillor we must be brave and have our own opinions on matters that are important to us. 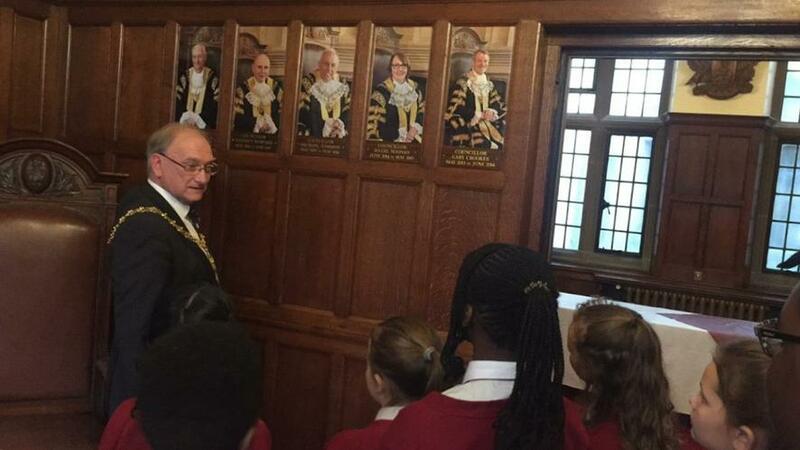 We enjoyed a drink and some biscuits in the parlour, overlooked by portraits of the previous Mayors and Lord Mayors. 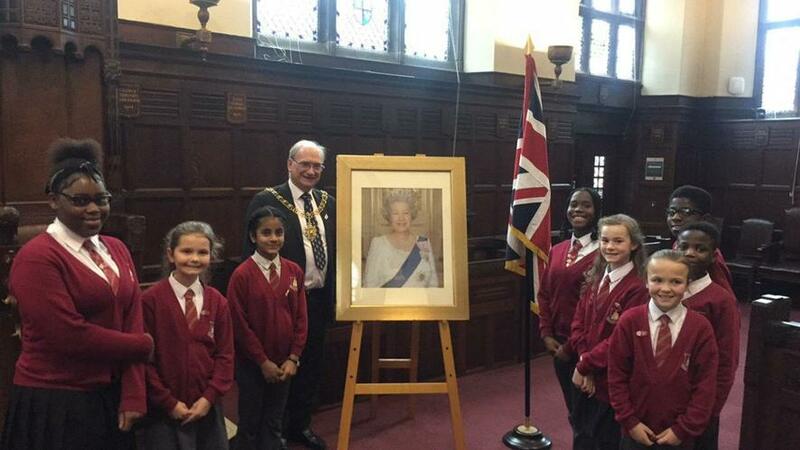 Afterwards we were lucky enough to go through in to the Chamber to see where newly appointed British citizens have their ceremony and photographs taken next to a picture of Queen Elizabeth II.